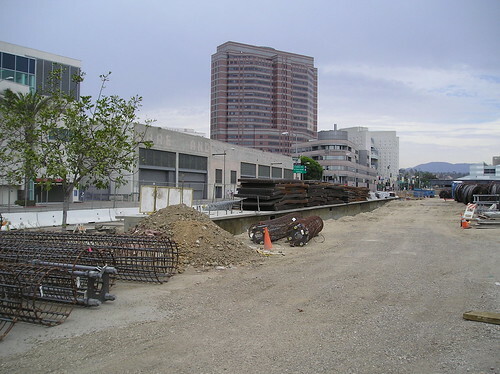 The twisty path towards Little Tokyo's new subway station has just taken another turn. Literally. Both Los Angeles Downtown News and BlogDowntown are reporting that Metro has made some changes to the Regional Connector, the underground light rail line that will include a new subway station in Little Tokyo. Office Depot would be gone, but Little Tokyo would gain a direct link to USC, Culver City, Santa Monica, Long Beach, etc. 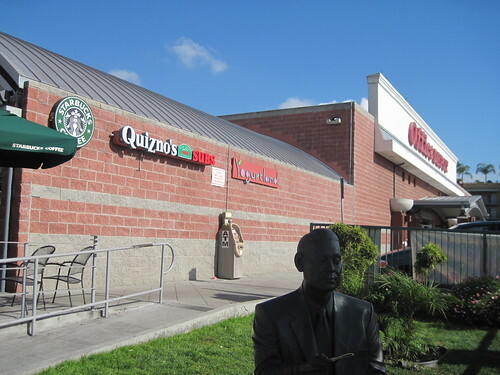 The new plan calls for the subway to curve slightly underneath Japanese Village Plaza. Judging from the new maps, it would miss most of the shopping center, and tunnel under the parking garage instead. Now, I have to say, modern subway tunneling techniques are much safer than they used to be. I'm not worried about that. But, it's a bit odd that they would choose to save the above-mentioned Office Depot and take out the older buildings to the north of Office Depot instead. And, since they can't use the Office Depot for tunnel staging, the would be/ could be/ maybe might have been Nikkei Center gets to be the new staging area instead. So, the good news is, the Little Tokyo chikatetsu no eki will be directly across the street from the Japanese American National Museum. And trains will have an easier curve going into the station. I'm a bit ambivalent on this idea, but I definitely support the project as a whole. What do you think? Is this better than it was (and remember, this has gone through several changes)? Is it a big deal or is saving Office Depot no biggie?